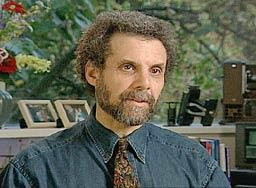 Daniel Goleman describes six leadership styles: Coercive, Authoritative, Affiliative, Democratic, Pacesetting and Coaching. He asserts, "Leaders who have mastered four or more styles, especially the Authoritative, Democratic, Affiliative and Coaching styles, have the best climate and business performance. COERCIVE LEADER always demands immediate compliance, they request their subordinates to do what they tell them. The subordinates are drove to achieve, initiative and self-control. The leadership style is suitable in a crisis, to kick start a turnaround, or with problem employees. For long term, it caused a negative morale and working atmosphere. Also, this kind of leadership would cause a high risk in business because the leader usually can not accept different idea or comment from the colleagues or underlings. AUTHORITATIVE LEADER mobilizes people toward a vision, they always say "Come with me". They shown self-confidence, acted as change catalyst in revolution. When changes require a new vision, or when a clear direction is needed, authoritative leader is the best one to lead for changes. This kind of leadership is strongly positive in working atmosphere and their subordinates are willing to follow the leaders with confidence. AFFILIATIVE LEADER creates harmony and builds emotional bonds. They are good in building relationships in working environment, also can setup a good communication channel between the subordinates. In the situation for healing rifts in a team or to motivate people during stressful circumstances, this kind of leader would be the best choice. This is also making a positive working climate. DEMOCRATIC LEADER forges consensus through participation. We lalways hear the leader said "What do you think?". This kind of leader shown us collaboration, team leadership and also good in communication. In situation to build buy-in or consensus, or to get input from valuable employees, the leader becomes the motivator for the team. This is also making a positive working climate. PACESETTING LEADER sets high standards for performance. Maxim from them is "Do as I do, or I am your model." They are conscientiousness, drive to achieve and initiative. To get quick results from a highly motivated and competent team is need the kind of leader. However, they would cause a negative working atmosphere for the team because lack of suggestion system and not encourage of comment from subordinates. COACHING LEADER develops people for the future. We always hear they say "Try this." to encourage the others to strengthen. The leader is good in developing others, empathy and self-awareness. To help an employee improve performance or develop long-term strengths is suitable for this kind of leader. Positive working environment came from this kind of leadership. The different characteristics of leadership are just like the different numbers of golf club. It is hard to say which kind of leadership is the best or worst. When we implement the lean transformation, we should select the suitable kind of leadership to lead the Kaizen according to the change of company culture. A trope in golf, during we just start to implement lean, we need the immediately culture change in a big jump. We need to use the coercive leadership to lead just like we use the club in number "0" for issueing ball to more than 200 yards. During the culture is improved, we need to motivate the member to improve by themselves. We can use coaching leadership to lead by encourage for trial, just like we use club of number "P" (putter) to put the ball close to the hole around 50 yards. The important factor is how to select the suitable leadership style for different period and change selectively. In simply say, the different leadership styles like our set of golf club. Select the club in right time. How many clubs do you have right now? Or, actually you don't know what is the number of club you are using? but I'm still new to everything. Do you have any points for newbie blog writers? I'd definitely appreciate it. I'll right away grasp your rss as I can not to find your e-mail subscription link or e-newsletter service. Do you've any? Hi there! I simply wish to offer you a big thumbs up for your excellent info you have right here on this post. yet effective. A lot of times it's challenging to get that "perfect balance" between user friendliness and visual appeal. I must say that you've done a very good job with this. have to manually code with HTML. I'm starting a blog soon but have no coding experience so I wanted to get advice from someone with experience. Any help would be greatly appreciated! Thanks for one's marvelous posting! I quite enjoyed reading it, you might be a great author.I will be sure to bookmark your blog and will come back down the road. I want to encourage that you continue your great writing, have a nice holiday weekend! images and videos, this website could certainly be one of the most beneficial in its niche. Yes! Finally something about if you fail to plan you plan to fail. After going over a handful of the articles on your web page, I seriously appreciate your technique of blogging. I'm really loving the theme/design of your website. Do you ever run into any browser compatibility problems? A couple of my blog audience have complained about my blog not working correctly in Explorer but looks great in Opera. Do you have any advice to help fix this issue? What's up friends, how is everything, and what you want to say on the topic of this article, in my view its actually amazing in favor of me. Hi, Neat post. There's an issue with your site in internet explorer, would test this? IE still is the marketplace chief and a huge section of other folks will leave out your excellent writing because of this problem. Hi! I've been following your weblog for some time now and finally got the bravery to go ahead and give you a shout out from New Caney Tx! Just wanted to tell you keep up the great job! post title? I am not suggesting your content isn't good., however suppose you added a title to maybe grab a person's attention? I mean "Leadership styles and lean" is a little boring. You might peek at Yahoo's home page and note how they create article headlines to grab people interested. You might add a related video or a related picture or two to grab readers excited about what you've written. feed and sit up for in the hunt for more of your excellent post. Tremendous issues here. I'm very happy to peer your article. Thank you a lot and I am having a look forward to touch you. Will you please drop me a mail? your web site and in accession capital to assert that I get actually enjoyed account your blog posts. I'm gone to inform my little brother, that he should also pay a quick visit this website on regular basis to get updated from latest news. Hello it's me, I am also visiting this web site on a regular basis, this website is really fastidious and the visitors are genuinely sharing fastidious thoughts. For most recent information you have to go to see world-wide-web and on web I found this website as a finest web page for most recent updates. in such a perfect method? I have a venture that I'm just now running on, and I have been on the glance out for such information. A lot of times it's very difficult to get that "perfect balance" between usability and visual appeal. I must say that you've done a great job with this. Nice answers in return of this query with firm arguments and explaining the whole thing on the topic of that. I have you saved to fav to check out new stuff in your website. much more well-liked than you might be right now. You're so intelligent. You already know therefore considerably relating to this topic, made me in my opinion imagine it from so many numerous angles. Its like women and men are not involved unless it is something to do with Lady gaga! Your personal stuffs great. Always handle it up! exciting blog (I also love the theme/design), I don't have time to look over it all at the moment but I have book-marked it and also added your RSS feeds, so when I have time I will be back to read a great deal more, Please do keep up the fantastic work. Excellent goods from you, man. I've bear in mind your stuff prior to and you're simply extremely great. I really like what you've obtained here, certainly like what you are saying and the way wherein you are saying it. You are making it entertaining and you continue to take care of to keep it smart. I can not wait to learn much more from you. This is actually a tremendous web site. He constantly kept talking about this. I'll send this information to him. Pretty sure he will have a good read. Thanks for sharing! What's up to all, how is the whole thing, I think every one is getting more from this website, and your views are fastidious for new visitors. Link brokers are no different than stock brokers or real estate brokers. out what they do and how they do it. Greetings! I've been reading your blog for a while now and finally got the bravery to go ahead and give you a shout out from Huffman Tx! Just wanted to tell you keep up the good job! [b][url=http://www.grnbuildersinc.com/]Fake Oakleys[/url] [/b] Hi, I do think this is an excellent web site. I stumbledupon it ;) I may come back once again since I book-marked it. Money and freedom is the greatest way to change, may you be rich and continue to help other people.